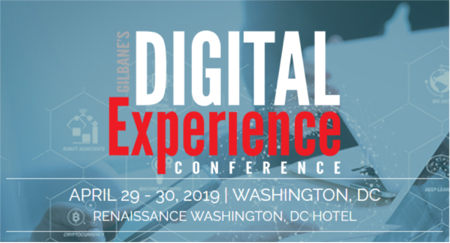 Can’t make all three days of the Gilbane Conference? We’ve got plenty going on in the technology showcase too. Take advantage of our complimentary showcase pass and register onsite at the Renaissance Boston Waterfront Hotel, 606 Congress Street, Boston – across the street from the Silver Line Way stop. Showcase and conference registration is now open onsite Tuesday 8:00am – 6:00pm, and Wednesday 8:00am – 2:00pm. Opening Keynotes – December 2: 8:30 a.m. – 10:00 a.m.
Industry Analyst Panel – December 2: 11:00 a.m. – 12:00 p.m.
Tuesday, December 2 10:00 a.m. – 6:00 p.m.
Wednesday, December 3 10:00 a.m. – 2:00 p.m.
What is Content, Context, and Educational Marketing? You could say that our conference has assumed content marketing since our initial focus on web content management has always attracted marketers. But there is certainly a lot more attention now paid to the crafting of content, as well as to matching content to context whether that is channel context, customer context, buying-cycle context, or better, at least these three. In spite of the wise-cracky session description, you will hear thoughtful and reliable commentary on one of the biggest buzz terms of the year. Content Marketing is certainly hot. But what is it? Is it new? Is it old? Was there ever a time when marketing was content-free? Has it always been content-free? Is there some new kind of content that makes marketing different? Is it a strategy, a methodology, a parallel universe? Snarkiness aside, it is easy to see that carefully created or chosen content can help improve success rates of different kinds of marketing objectives. This session takes a serious look at what content marketing is today, how you can use it, and how it is evolving.